This is a Wallpaper of Usa-chan or Ouran Koukou Host Club. I hope you will like it ^_^! And Ruka Tatsuya is Me! Disclaimer: I do not own, or helped in anything in the making of Ouran Koukou Host Club. i love this wallpaper genius design! aww how cute I love this wallpaper so adorable more! Aw,so cute!The quality is PERFECT!I want 2 own that bunny! awww! usa-chan said i got mail! that wallpaper is kawaiiiii! simple but really good! Totemo kawaiiii x3, luv it! keke!~ i think that this is a very clean and simple wallie.. It looks so cute.. Thanx for sharing such a kawaii wallie..
XDSO CUTE! its simple and clean and VERY cute! the colours are gret together...^-^ great job! this is way to cute! 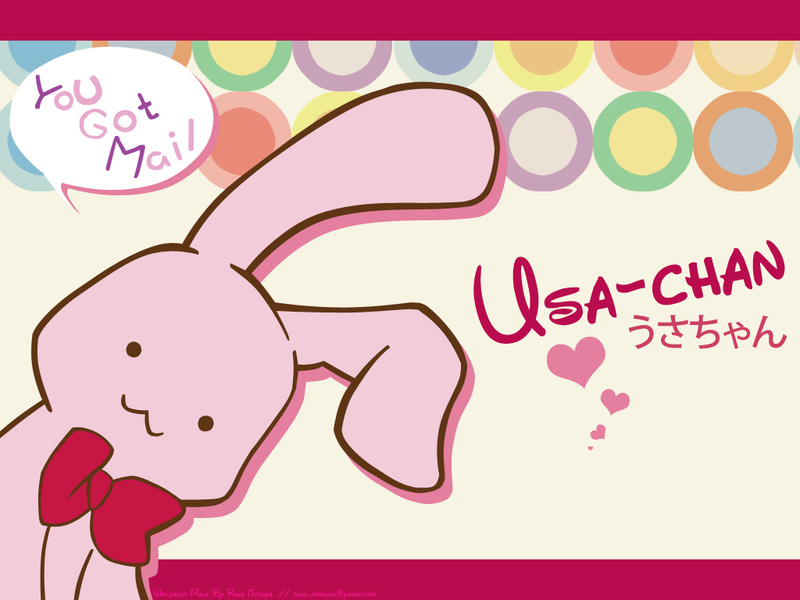 awwwwww sooo cuteeee usa-channn <33333333 I love this wall!<3~ thanks for sharinngg! KAWAIIIIIIIIIIIII! I almost got myself a nosebleed when I saw this one! Nice job! thx 4 sharing ~~ So cute !